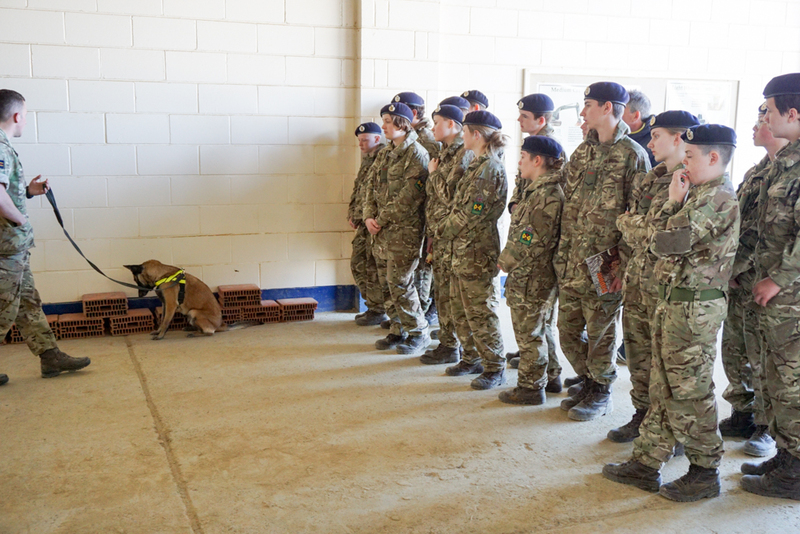 St Benedict’s School CCF were invited to send a team of cadets to the Cadet Open Day at Brompton Barracks, Chatham. 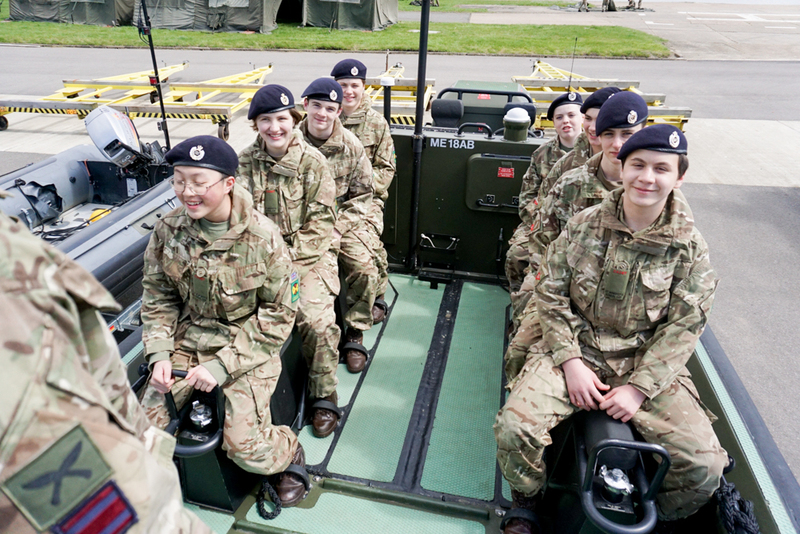 After a range of activities, including an assault boat time trial and bulldozer driving, the St Benedict’s team won the competition. 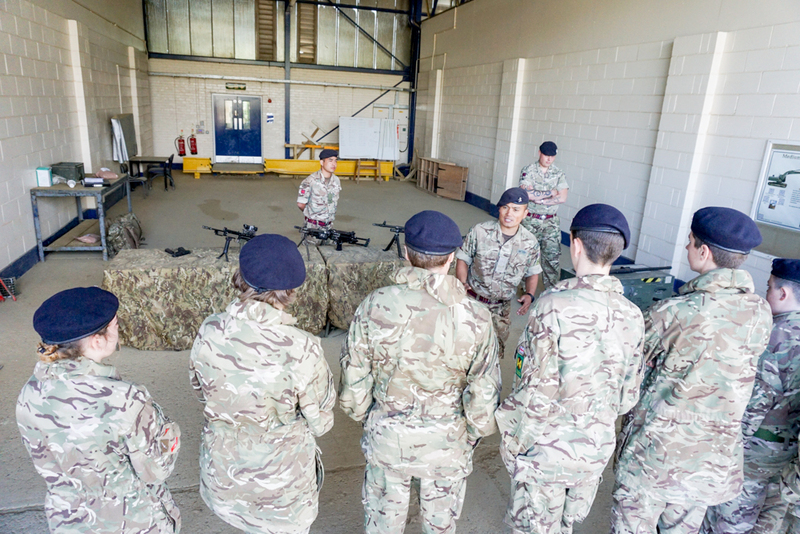 The event was run by the Royal School of Military Engineering Regiment as part of its local community engagement programme. 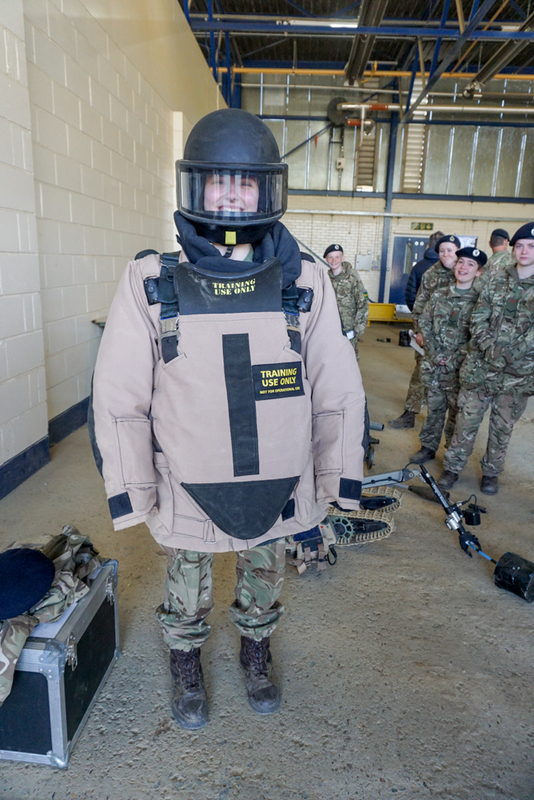 While St Benedict’s is not exactly local to Chatham, we are one of the few Royal Engineers-badged cadet units in the region. 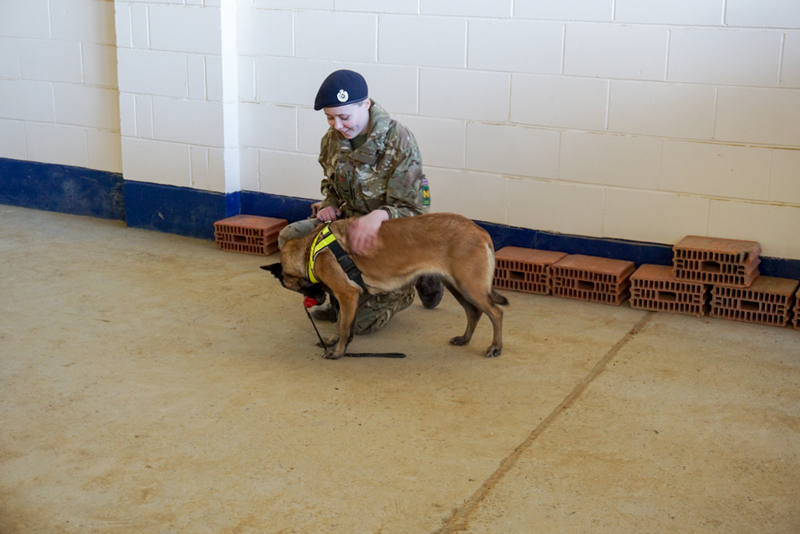 Eleven schools and one ACF unit also took part. 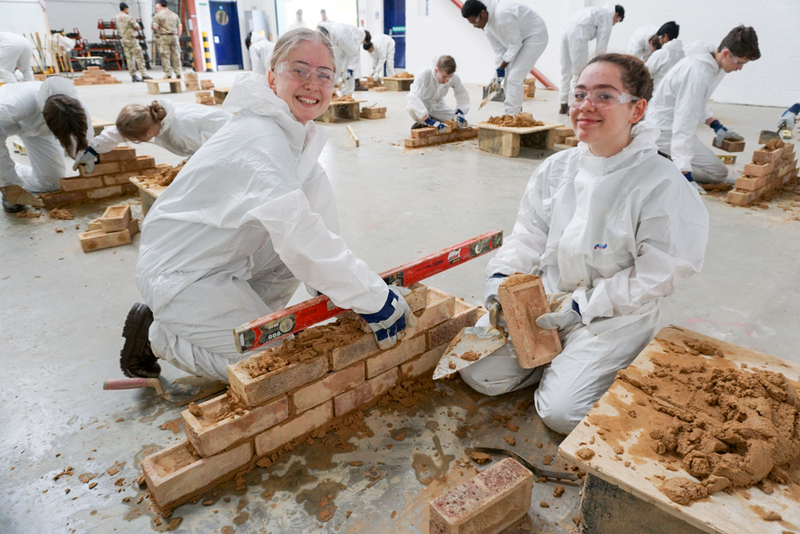 This is the first year St Benedict's has taken part. 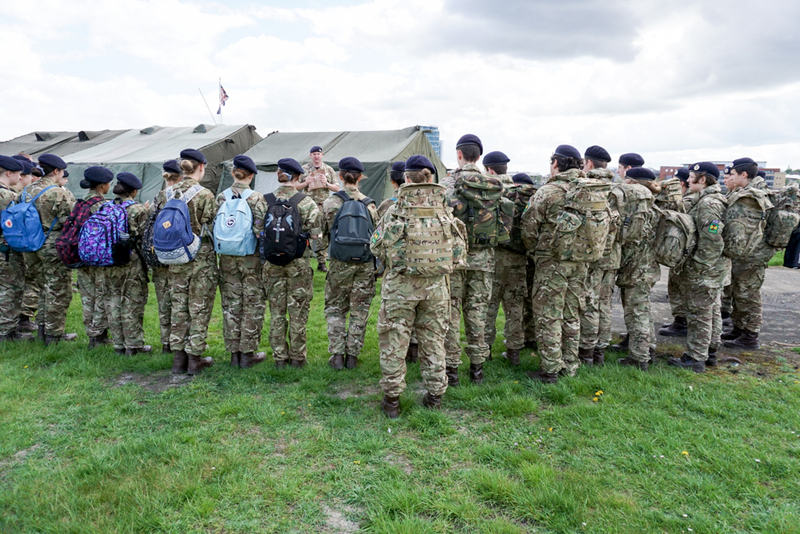 Our team comprised of sixteen cadets from Lower 5th (Year 10): eleven from St Benedict’s and five from Cardinal Wiseman.The cadets assembled at 0600 hrs on Wednesday, April 25th. 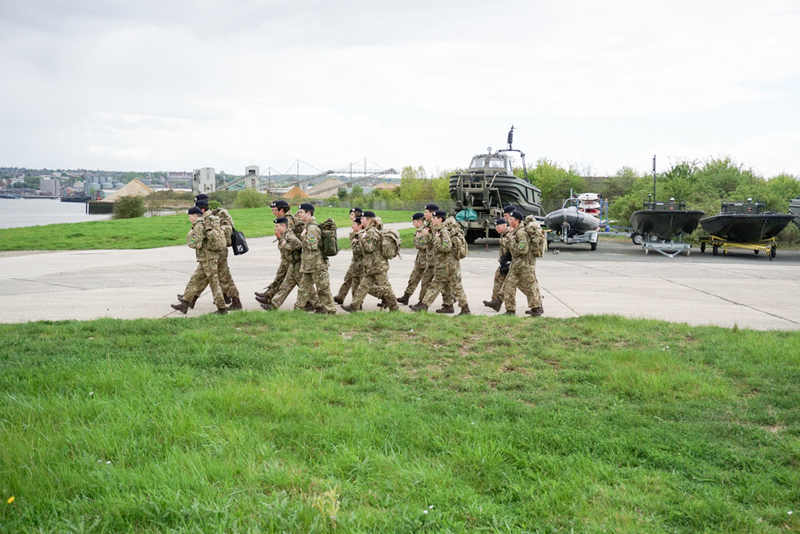 Once at Chatham, activities ran from 0900 hrs and they had to hit the ground running! 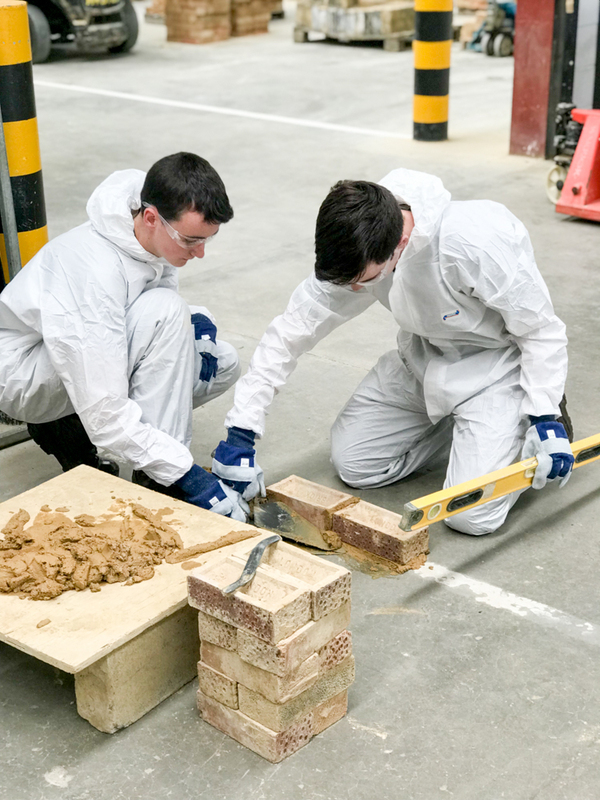 After a tour of the construction, joinery and electrical trades training facilities, we moved site from Brompton Barracks to Upnor Hard. 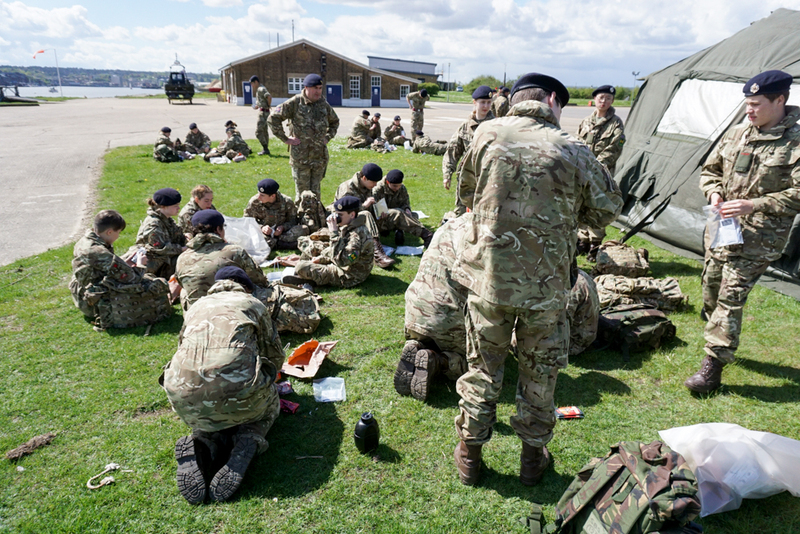 There our cadets had a break for lunch in the form of a quick lesson on the 12-hour ration pack followed by cooking and eating one on the grass beside the Medway. 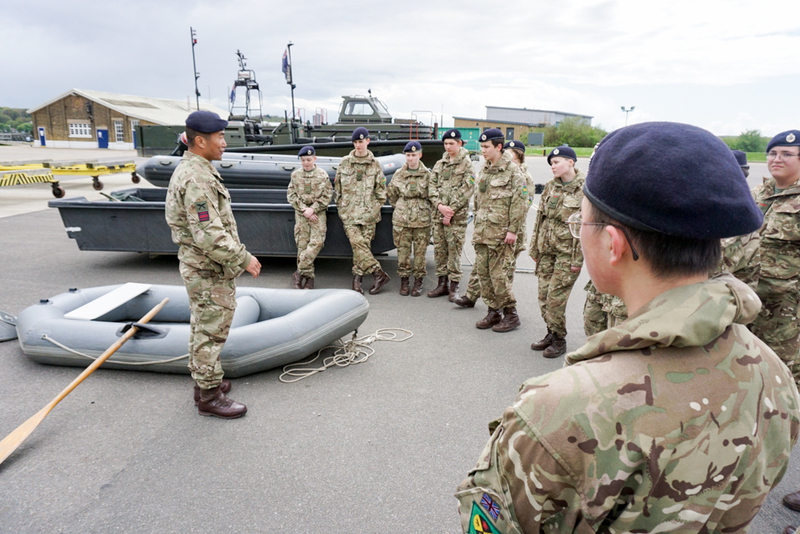 The weather closed in as we moved to the Sea Survival stand, and as the rain began eight cadets at a time boarded a life-raft and floated around getting (in some cases) very wet. 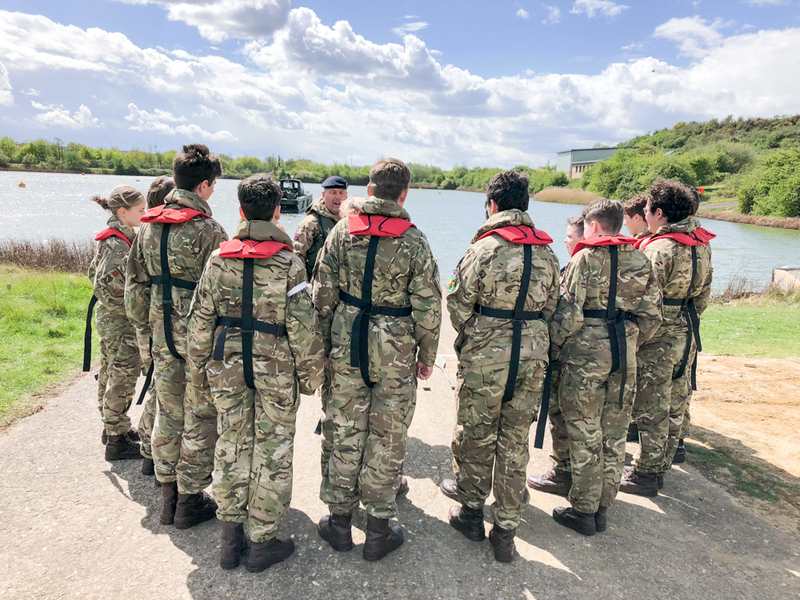 Cadets then had the chance to learn about the various types of boat used by the Royal Engineers, from two-man Recce Boats to eight-man Rigid Raiders and Combat Support Boats. Luckily the sun had come out again. 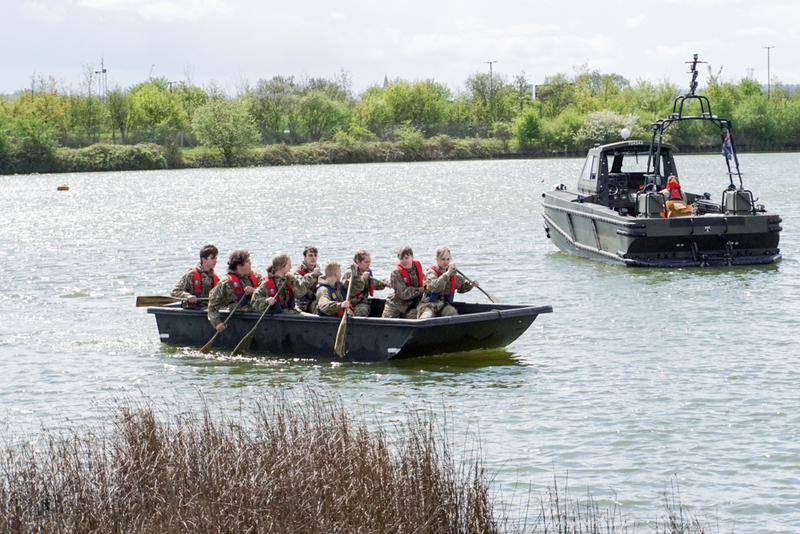 Personally, I think the timed boating competition was the best exercise, as everybody participated and worked together as a team to succeed. We had a great time! With a time of just over seven minutes, our team had the second-best performance of the day, only thirteen seconds behind the winners. 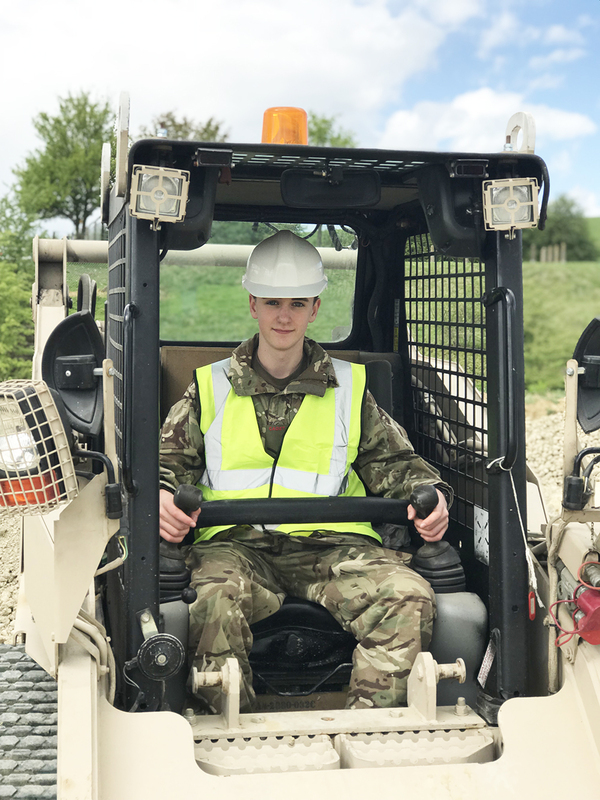 We drove on to Wainscott where trainee sappers learn to use diggers and bulldozers, some of them armoured, and one bulldozer capable of 32 m.p.h. 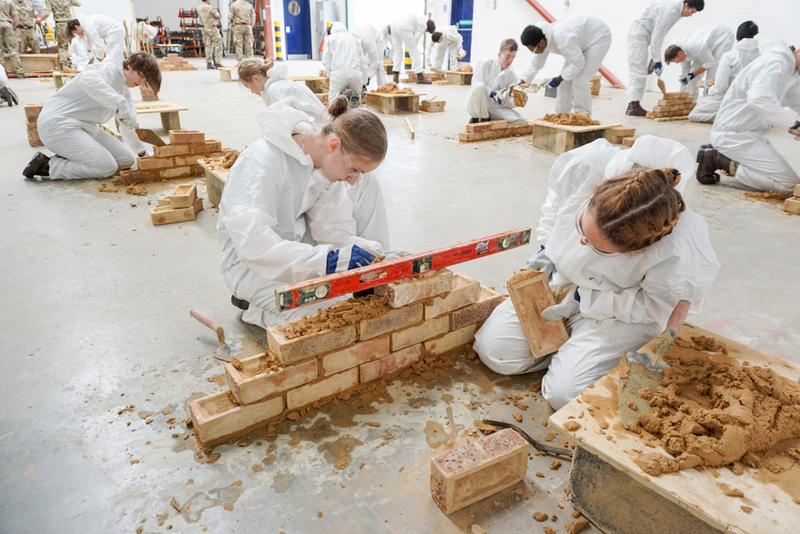 Cadets had the chance to clamber over them, meet trainees, use a digger, and then compete for the fastest time using a claw-grab to stack tyres. 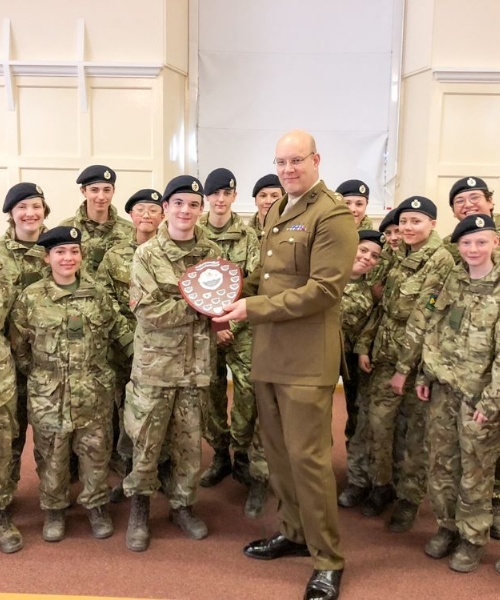 L/Cpl Cuss was our fastest, with L/Cpl Tompkins close behind: Tompkins was judged to have been the most skilful cadet whom the instructor had seen all day. 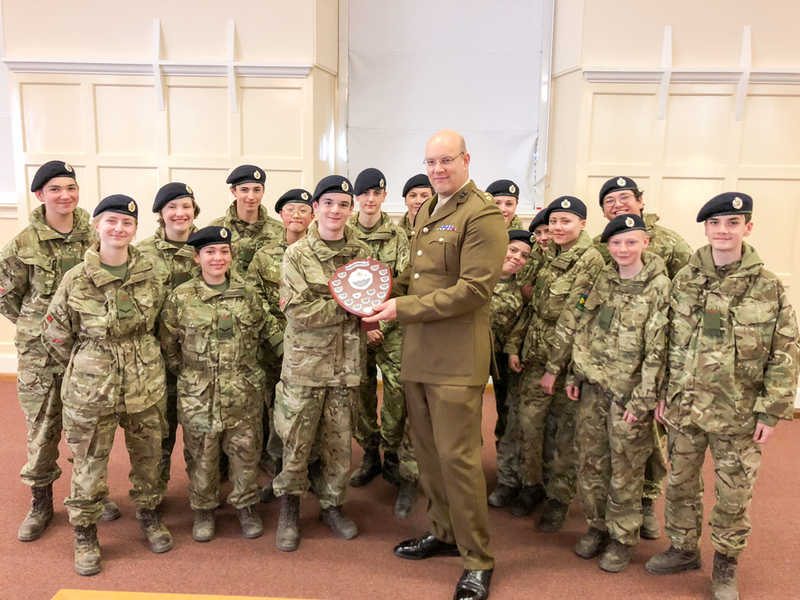 As always, I loved spending time with my friends from CCF, and our mutual respect and friendship are what I believe helped us to win the competition.